Booze News: 50th Review on the Way! I know what you’re thinking--“Raiders of the Lost Ark? Booze Movie?” It is indeed. 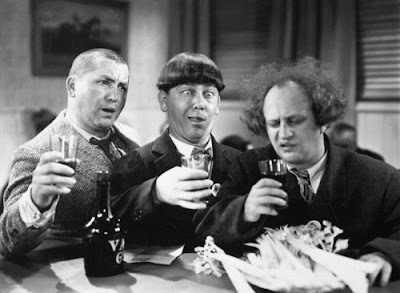 While most firewater-fueled films feature immoderate drinking throughout, others earn their place in the soused cinema canon on the merits of a single character or a lone liquor-laced scene that is utterly unforgettable and iconic. Raiders of the Lost Ark falls within the latter category, as it contains the most memorable drinking contest sequence in film history. Although Harrison Ford’s archeologist/adventurer, Indiana Jones, is the center of the movie, it is his love interest, Marion Ravenwood (Karen Allen), the hard-drinking daughter of Indy’s mentor, who is most intriguing from an alky perspective. We are introduced to her character inside her bar in Nepal where she is engaged in a drinking contest with a tub of lard three times her size. They take turns downing whiskey shots, and from the empty glasses overturned on the table, it is obvious that they are well into the battle. The rotund challenger shallows his drink without much trouble and the focus turns to Marion. She slowly empties her glass but then begins to falter. The wagerers are certain the game is over and money begins to change hands, but then Marion steadies herself and places her empty glass face down upon the table. The tubby challenger again takes his turn and passes out upon consuming the golden liquid. Marion also proves that her thirst and capacity for booze are central character traits during a few other moments scattered throughout the movie. For example, she takes time to drink from a punctured keg in the middle of a shootout in her bar, and when captured by the Nazis, her first question to her captors is “Whatta ya got to drink around here?” However, Marion is never a sloppy drunk. She can put away liquor with the best of them and holds it like a champ. She may be the perfect woman. Of course, the film itself receives my highest recommendation. Steven Spielberg and George Lucas’ homage to the heroes of the 1930’s movie serials and pulp magazines is quite possibly the most enjoyable adventure film ever produced. Unfortunately, they didn’t see fit to bring Karen Allen back for the first two Indiana Jones sequels, and those films are drier (in all senses of the term) because of that decision. Potent Quotables--(Final line of the film) MARION (to Indy): Come on. Buy you a drink? You know, a drink? Video Availability--Raiders is available as a solo DVD or as part of Indiana Jones - The Complete Adventure Collection (Paramount). Similarly Sauced Cinema--Karen Allen returned as Marion Ravenwood in Indiana Jones and the Kingdom of the Crystal Skull, but alas, she didn't drink a drop. This is slightly off-topic--it's not soused cinema but it is tipsy TV--but what I've seen thus far is very, very good, so AMC's Mad Men deserves a plug. If you long for the days of the the Rat Pack, the office bottle, smoke-filled rooms, and full-figured women, Mad Men is the show for you! However, this one-hour drama set in the world of Madison Avenue circa 1960 isn't idealized nostalgia. The creator, Matthew Weiner (a writing staff alum of The Sopranos and Andy Richter Controls the Universe ), isn't shy about shining a light on backward attitudes of the time such as racism and sexism. Furthermore, with the world of advertising as a backdrop, misrepresentations, moral shakiness, and outright lies are just part of a day at the office. "Should we drink before the meeting or after... or both?" There are a number of opportunities to catch a rebroadcast of the first episode before episode two premieres Thursday at 10pm EST. 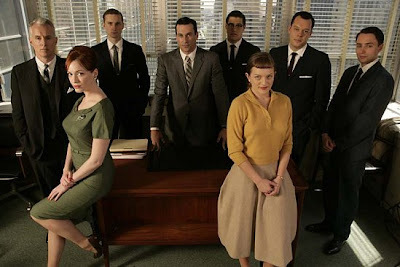 Here's a link to the show schedule on AMC's Website: Mad Men schedule. The show is also available for download and On Demand. It’s a sad truth, but some people just shouldn’t drink. While many individuals can enjoy a few slugs in the evening and even an occasional debauch with little negative impact, others let the bottle get the best of them. 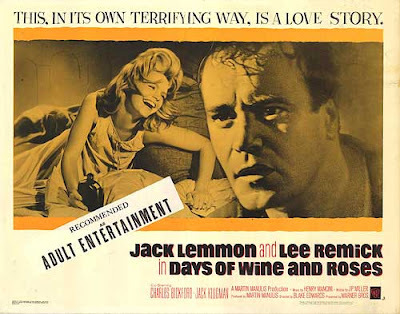 Many films have explored the dangers of too much of a good thing, but none better illustrates the hazards serious alcohol addiction than Blake Edwards’ cinematic bummer Days of Wine and Roses. The story, adapted from a Playhouse 90 television script, centers around Joe Clay (Jack Lemmon), a public relations man who takes social drinking with his business clients a bit too far. Through work, Joe meets Kirsten, a secretary with a strong sweet tooth who is lured to drink when Joe introduces her to the Brandy Alexander. The two get married, have a child, and quickly let liquor seize control of their lives. After many false starts, Joe eventually dries out with the help of an AA sponsor (Jack Klugman), but Kirsten can’t elude the strong grip of demon alcohol. Jack Lemmon gives one of his very best performances as Clay. Whether sober, intoxicated, or suffering violent bouts of delirium tremens, his acting always rings true. 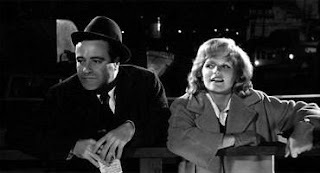 Although Lemmon does most of the heavy lifting, Remick acquits herself quite well in the less showy role of Kirsten. Charles Bickford as Kirsten’s father (the same role he played in the original TV production) and Jack Klugman lend fine support. Klugman should be singled out for managing to bring a sense of heart and realism to a poorly-written character, forced to spout mouthfuls of clunky expositional dialogue. Days of Wine and Roses is an important film and it is undeniably well made, but is it entertainment? 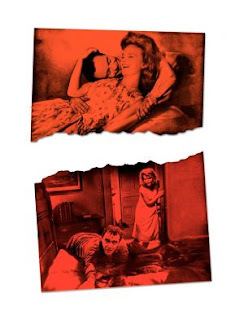 I’d argue “no.” Other “booze=bad” films like The Lost Weekend (1945) and Leaving Las Vegas (1995) tempered their sermonizing with humor and touches of escapism. Edward’s film provides no respite from the gloom. Even the early scenes, where Joe and Kirsten are infatuated with drink and each other, ooze with seediness. Compared with other alcoholism films, Days of Wine and Roses may be a more truthful, but it is difficult to enjoy a story that is so relentlessly downbeat. It is a bitter brew that should be sampled once, but it is doubtful that you will want to tap into the barrel again. In short, it’s a buzz killer. JOE: We have more than a couple of drinks. We get drunk! Then we stay drunk most of the time. Look at that dump that we live in and the clothes that we wear… We send that child off to school like she’s… Look at me. I’m a drunk, and I don’t do my job, and that’s it! Similarly Sauced Cinema--Blake Edwards also used liquid overindulgence as a theme in several of his later comedies, including 10 (1979), Blind Date (1987), and Skin Deep (1989). On December 27th I started this blog as a way to avoid working on my unfinished novel. Now, less than seven months later, this site has far exceeded my original vision. Not only is my novel still unfinished, I'm currently on the cusp of completing my 50th "Booze Movie" review. Forty-nine films in, I can safely state that I’m just gettin' warmed up. I’ve held off covering several of the best known soused cinema classics in order to keep a tasty balance between familiar flavors and lesser-known treats. There are still many, many important and obscure firewater-fueled flicks waiting for their turn in the spotlight. Of course, that begs the question, “What will the 50th film be?” For now, I’m not telling. I’ll post the review later in the week. In the meantime, I welcome regulars and lurkers alike to take a guess as to what movie will take that milestone slot. Any predictions? P.S. -- My sincere thanks to everyone who has provided input and comments thus far. I appreciate the feedback, and movie suggestions are always welcome (the more obscure, the better). A forgotten film based on a forgotten novel, The Wet Parade is probably best forgotten. This creaky relic from the early sound era serves up heaping ladles of maudlin drama as it spins a moralistic tale that demonizes alcohol and simultaneously condemns the practice of forced prohibition. The ramshackle narrative barely holds together. Worse yet, the movie is mawkish, preachy, and overlong. Still, as contradictory as it may sound, I kinda liked it. The film opens in 1916 with Lewis Stone as a southern gentleman (in full Col. Sanders whiskers) with an unquenchable thirst for bourbon. Less than a half-hour in, the old boy offs himself after squandering the family fortune on liquor and games of chance. At that point, the flick takes a disorienting jump to New York City to tell the story of Kip Tarleton (Robert Young), a teetotaler with an alcoholic father (Walter Huston). When Prohibition is enacted, Huston’s character transforms from unreliable drunkard to violent loony due to downing poisonous bootleg swill. Swearing to get the bootleggers responsible for his father’s madness, Kip joins the g-men, and he’s teamed with a senior agent (played by Jimmy Durante of all people). Unfortunately, as Kip tries to enforce Prohibition, he discovers that the cure may be worse than the disease. Watching The Wet Parade is a lot like sitting through a two-hour sermon on the lesson “you’re damned if you do and you’re damned if you don’t.” It’s undeniably downbeat, but it ain't boring. Colorful performances from Huston and Stone breathe life into the story, and Durante’s hamming is diverting in its own way. 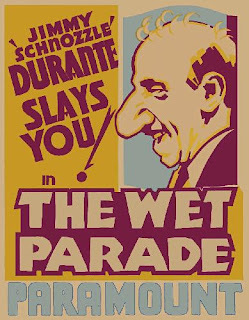 Most importantly, as a “booze movie,” The Wet Parade doesn’t disappoint. There’s more sauce swilling on display here than in Arthur and Leaving Las Vegas combined, and since the flick was filmed during the Prohibition era, it features an abundance of fascinating period detail. The Wet Parade is quite simply the ultimate Prohibition movie. All things considered, the picture sorta stinks, but you probably won’t be sorry you took the time to take it in. Potent Quotables--KIP: I never had a drink before in my life. ABE: Are you kiddin’ me? ABE: You never had a drink before? Gee, a guy has to join the Prohibition service to get his first drink. I’m thunderstruck. My eyes are filled with amazement; in fact, astonishment. Similarly Sauced Cinema--Jimmy Durante plays the other side of the fence as a bootlegger in the Prohibition comedy What! No Beer? According to Variety, Jim Carrey is set to star in Sober Buddies, a new comedy for Universal. The basic premise of the film, as described in the trade, involves "a hard-partying software exec assigned a court-appointed Sober Buddy to keep him under control during a critical business trip to Las Vegas. 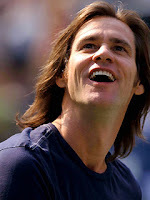 A perfect plan falls apart when the Sober Buddy (Carrey) falls off the wagon." The movie is currently in the writing stage, so it may be months or years before actual shooting begins. A lot can happen in that time--from rewrites to casting changes to the project being shelved. However, at this stage in the game, this picture sounds right up my alley. I'll keep an eye on it and keep you informed as it progresses.